Reema Sathes venture is raising farmers incomes, reviving indigenous grain varieties. Reema Sathe worked in the food and beverage industry for seven years before starting Happy Roots to empower marginal farmers, even those without own land, with sustainable income. Today, the social enterprise, which makes gourmet snack food such as crackers and cookies, has a network of 15,000 farmers and 2,000 rural women in Vidarbha, Kolhapur and Pune in Maharashtra, with land access of 25,000 acres and a pool of 120 indigenous varieties. "We want to become the largest healthy snack food brand in the country that represents small and marginal farmers," says Sathe. For production, she is using a private facility in Pune. Sathe's rural journey started with a stint at Krishi Star, a start-up working with small farmers in Gujarat where, distressed at farmers' suicides, she built a community of poultry farmers, and with the help of the state government's CAIM (Convergence of Agricultural Intervention in Maharashtra) programme and an NGO, Chetana Organic, gave farmers from 25 villages free-range chicks. Every morning, the farmers would give her fresh eggs that she delivered to restaurant chefs in Pune. The chefs loved them. The farmers' income rose 150 per cent within a short period. But there was one difficulty. Though the eggs were tastier and more nutritional, they were costlier and prone to rot or break during transportation. "I searched for a more sustainable model and decided to set up a non-perishable supply chain. The idea was to involve farmers in food processing," she says. A chemical engineer with a degree in food and hospitality management, Sathe, who has worked with Mahindra Holidays, Sodexo and Ecolab, spoke to nearly 100 people to understands the gaps in the food eaten in urban areas. The response and a chance meeting with an NRI threw up the idea of starting a healthy snack food outfit. 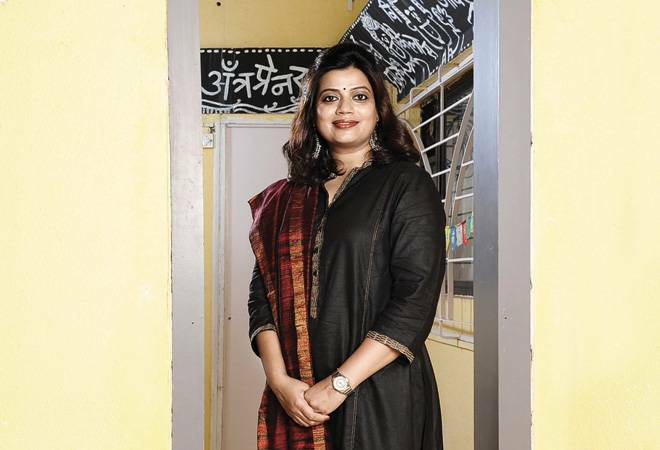 Sathe - awarded the Nari Shakti Puraskar by the Ministry of Women and Child Development and the Phoenix Leading Lady Award for excellence in the social enterprise sector - pumped in Rs 10 lakh from her savings to set up the venture. "We bought from farmers, cut out the middle layers, and paid them 50 per cent more than their usual income. Farmers do not earn more than 15-20 per cent of the end-consumer's rupee," says Sathe. "When I received threats, I realised my work is impacting someone in the ecosystem," she says. Happy Roots has generated a revenue of Rs 3.5 lakh since its launch in 2016. But Sathe does not want to limit herself to food processing. Happy Roots is also working to revive several indigenous grains. For instance, it is undertaking contract farming of the indigenous Buckwheat. This has increased the income of tribal women farmers it works with in Ahmednagar by 300 per cent. "Happy Roots is building a transparent value chain where small and marginal farmers are equal partners and own 50 per cent. We partner with farmers for pre-harvest (seed conservation, farming of indigenous grains) as well as post-harvest management (manufacturing healthy snack food)," says Sathe.